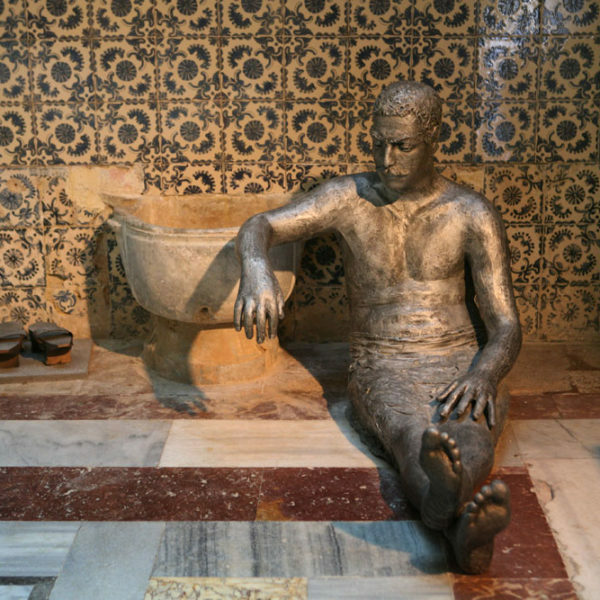 Ottoman Acre inhabitants used to frequent the luxurious Hamam, built by Ahmad el-Jazzar for his subjects in the year 1795, twice a weak. As customary during el-Jazzar’s reign, the structure was built above the remains of the Crusader’s bath-house. 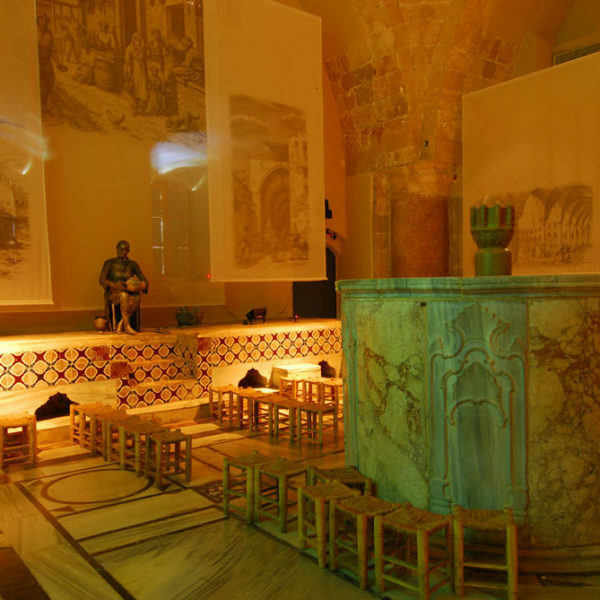 Nowadays, the legendary Hamam has been reconstructed and is used for exhibition purposes: at the entrance visitors are provided with an electronic tour guide and walk into a hall used in the past as the Hamam’s reception and dressing room. 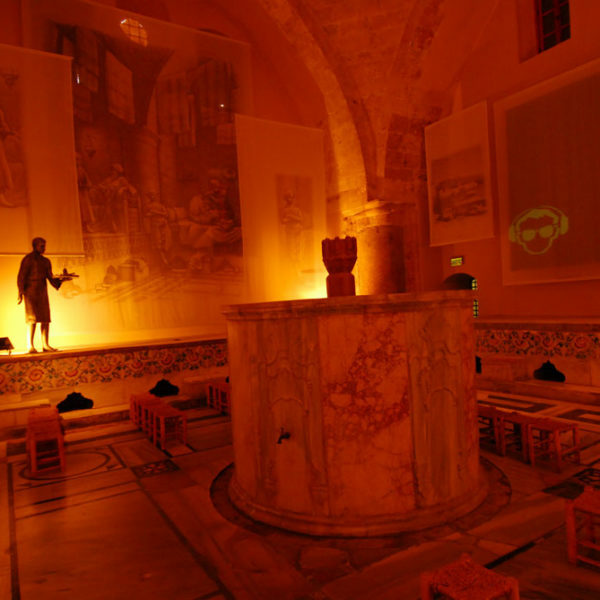 In this magnificent hall, at the center of which stands a fountain, residents of Acre used to prepare themselves before entering the Hamam itself. Preparation included not only changing clothes, putting on towels and wooden clogs; guests would sit down, talk and play backgammon, while their bodies were getting used to the hot temperature – towards the encounter with the unbearable heat of the main chamber. 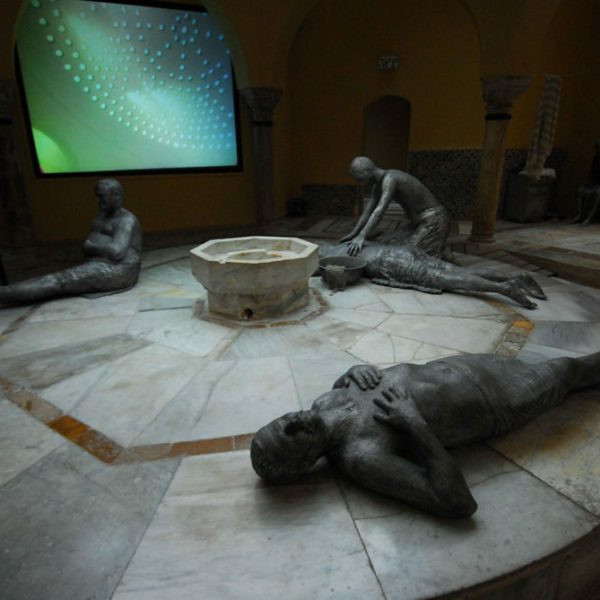 In this preparation room visitors are invited to sit facing a large screen and experience some of the Hamam’s atmosphere, for about 30 minutes, through a movie called ‘The Last Bath Attendant’. 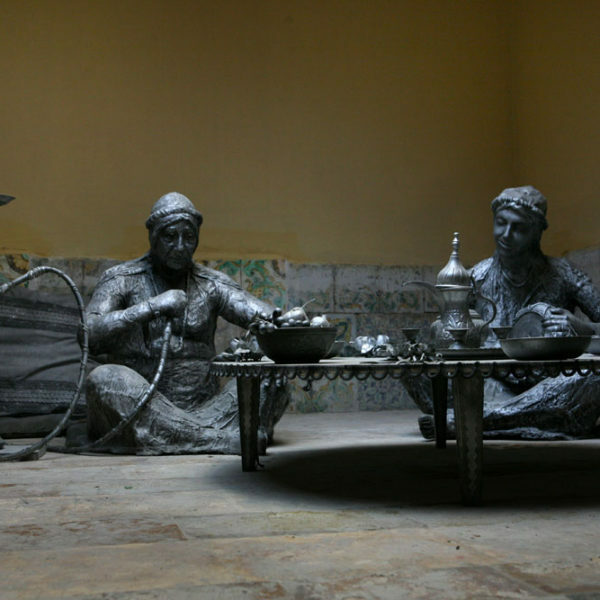 The plot of the movie describes a dynasty of bath-attendants (bath-house workers who tended to all guests’ needs – a towel, a massage, an invigorating flogging as well as a heart to heart talk or a discussion on current matters) – and lets visitors taste some of the atmosphere of the place in olden days. At the end of the movie, the electronic tour guide will direct visitors towards the main chamber. On the way there, visitors will pass intermediary rooms and niches used by many of the city’s treatment providers: the barber, the broken bone setter, the capping-glasses therapist and others. 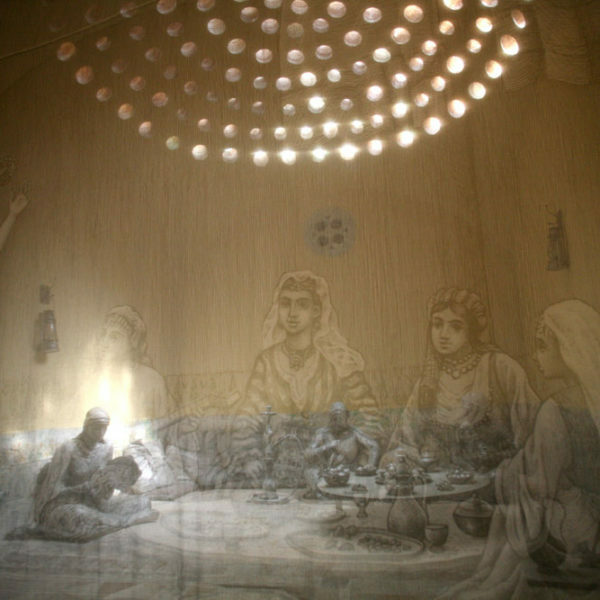 Reconstruction of the rooms, uses beautiful and creative décor that manages, for a moment, to restore days gone. 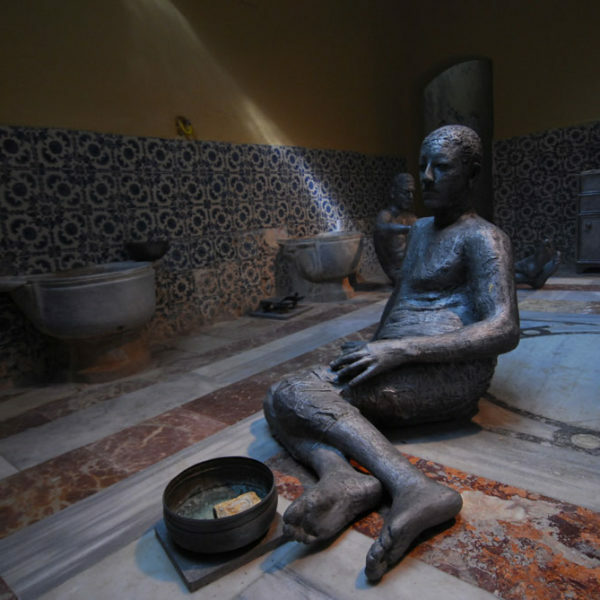 The final point and the last hall, The Hamam: a pleasurable Steam-Room where heated floors blazed (remember the wooden clogs?) 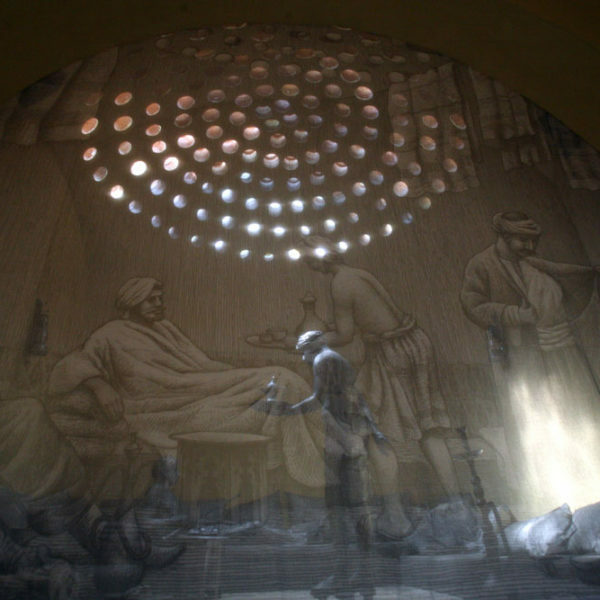 and water vaporized – rising to the arched and illuminated ceiling only to drip back down. On the raised surface at the center of the room guests would recline while receiving treatments or simply experiencing purifying perspiration, while getting updated in the latest gossip (what else).